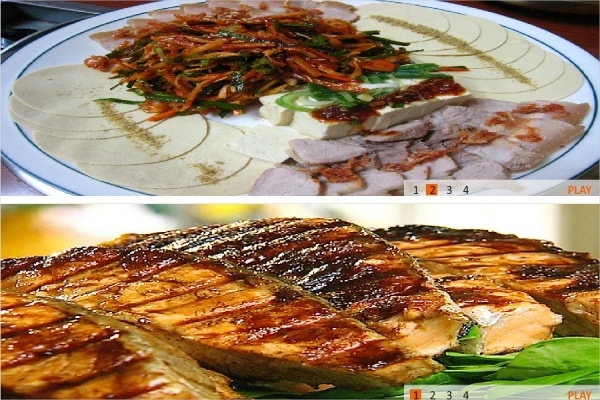 Restaurants and eateries around the world dish out delicious culinary delights. But how do they drive diners to make a beeline to the restaurants? Well, advertising and promotion do the trick for the most part. There are so many advertising and promotion avenues that it is a real challenge to know and ably identify which kind of publicity would work for your restaurant. Among the preferred choices, banners are a huge hit nowadays. An Increasing number of restaurants are erecting banner advertisements at public places and events to win customers. 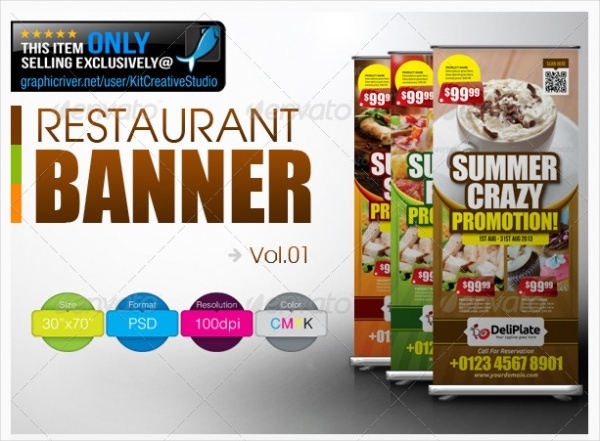 You can do it better and faster by going for readymade restaurant banner designs. 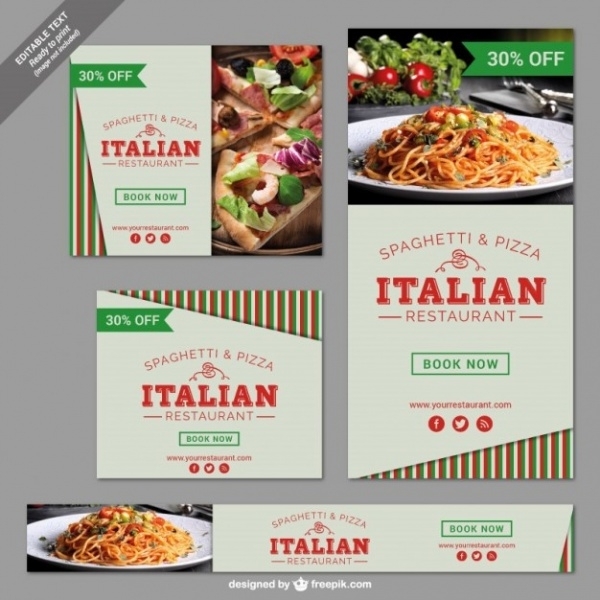 If yours is an Italian restaurant, you can download and re-design this ready-made banner template. 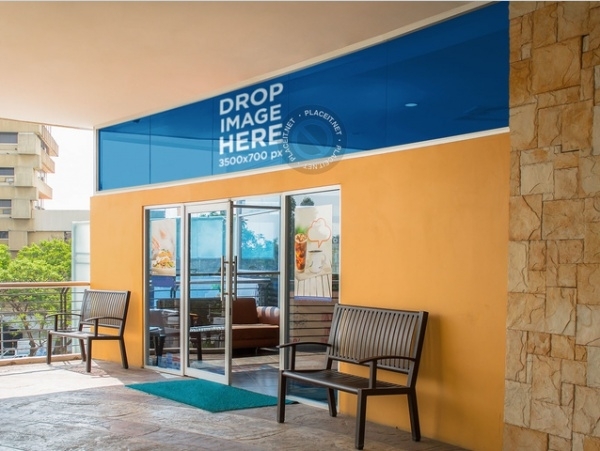 You can easily edit and insert relevant information in terms of text and images to lure diners to come in and eat your food! You can also see Valentine’s Day Banners. 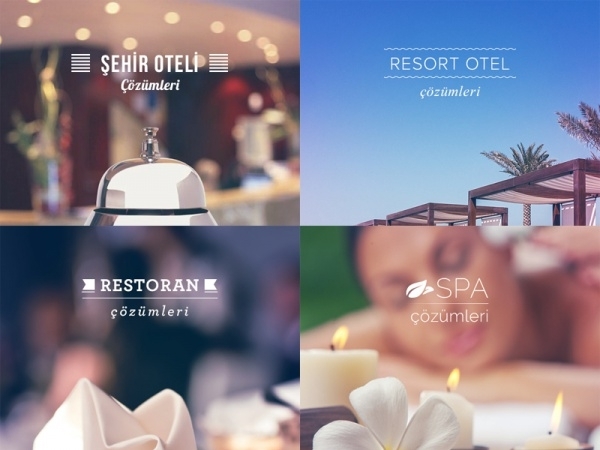 If you would like your restaurant banner to give a glimpse of the ambiance and look inside the restaurant, you could deploy this typographic restaurant banner for the same. You can also see Geometric Banners. 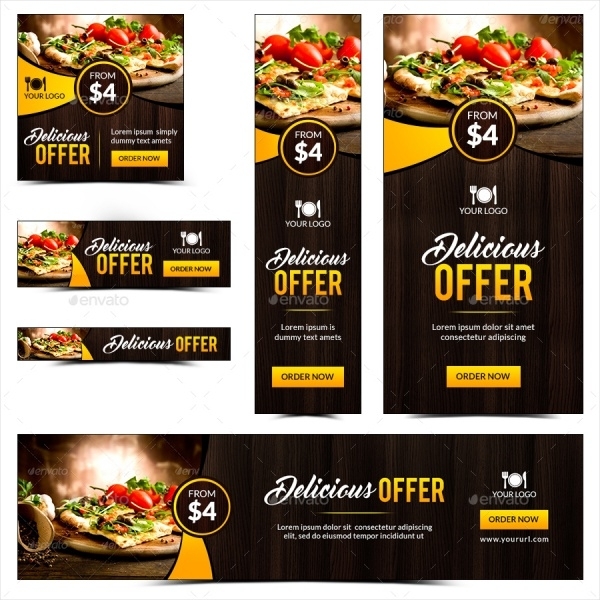 If you’re celebrating a discounts week at your fast-food joint, inform customers by using this wonderful signage template. This sample is easy to download and fully-editable. 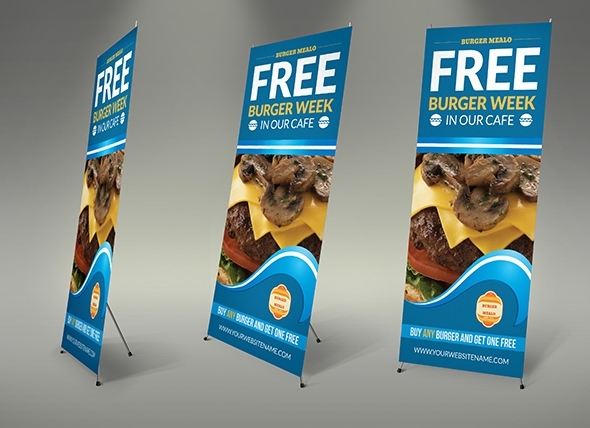 This 30×70 inches roll-up banner is ideal to put up at public places and events and it guarantees to give your restaurant the visibility and exposure it needs. All you need to do is download and customize this template in a favorable and attractive fashion. 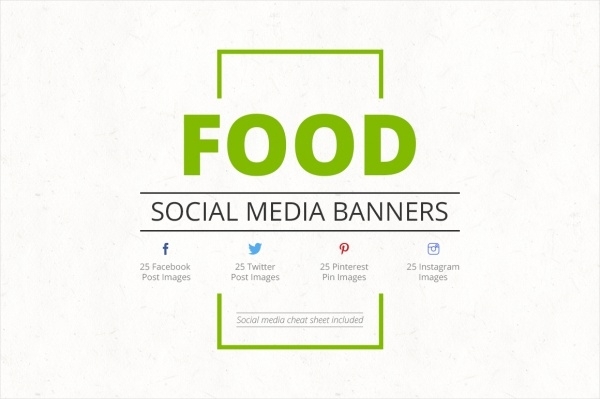 If you’re looking to put up your restaurant’s banner in online space – on websites and social media – download this trendy and stylish banner template and personalize it in a beautiful way. This template is editable due to the shape layers and paths and the size is definitely scalable. 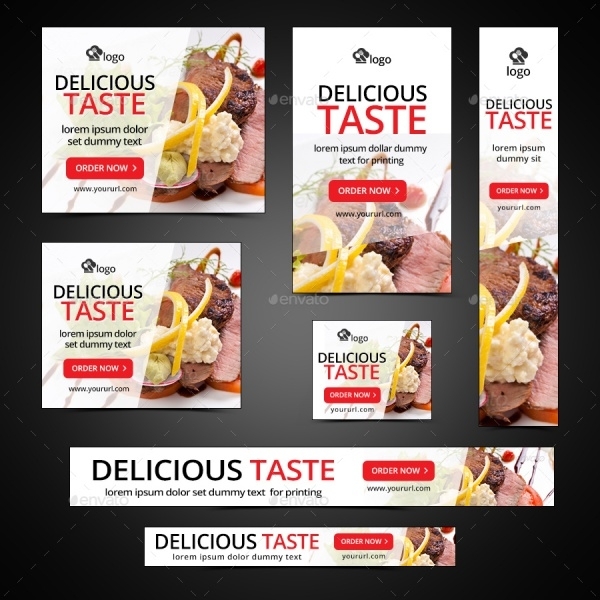 Advertise your restaurant’s best meals and discount offers on the Web by customizing this yummy-looking web banner. This sample contains all of the editable and customizable elements which you can explore and tweak to create the banner of your choice. 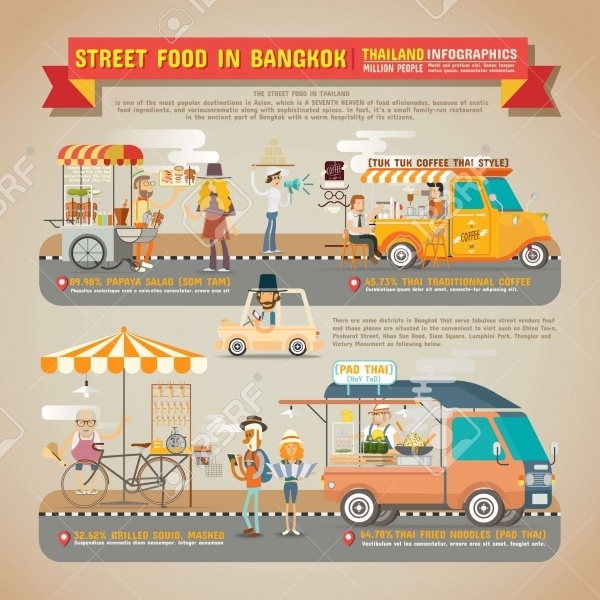 If yours is a food truck or restaurant on the wheels, you could use this banner example to show diners what your food specialties are. 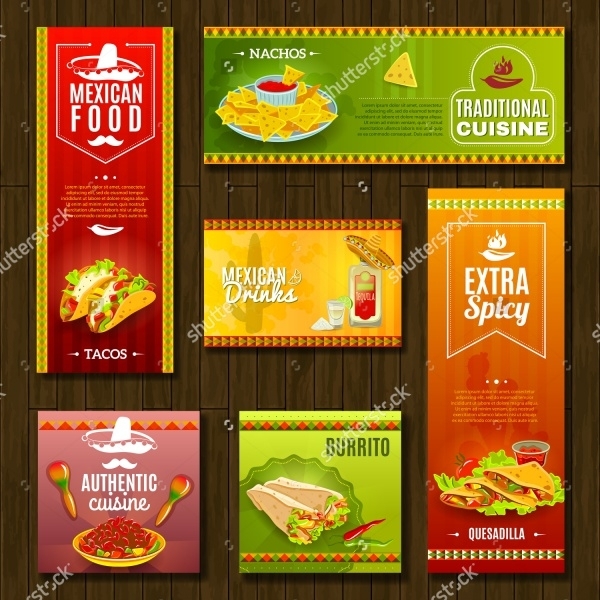 Download this easily editable vector and revise and rescale its various elements to create the restaurant banner you desire. 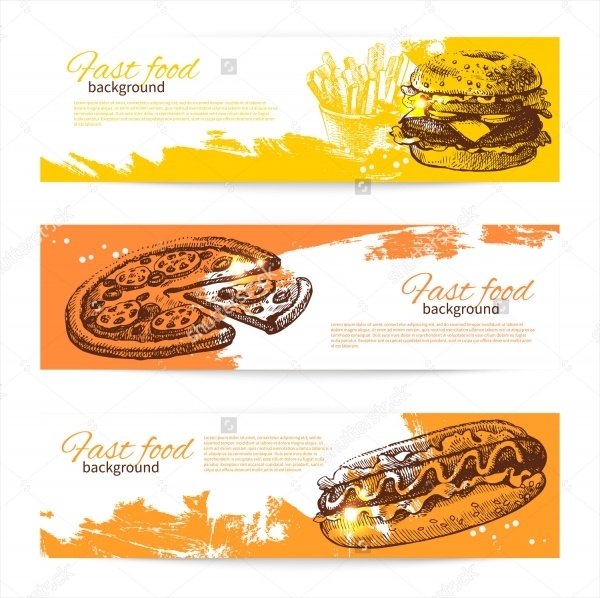 This restaurant banner sample is designed as a perfect fit for any kind of food and beverage business, cafe, restaurant, fast food businesses, in fact, you could also place this banner stand at other public places such as supermarkets etc. The template is fully editable. Unless you show your restaurant’s pizzas real look, pizza lovers will not know. 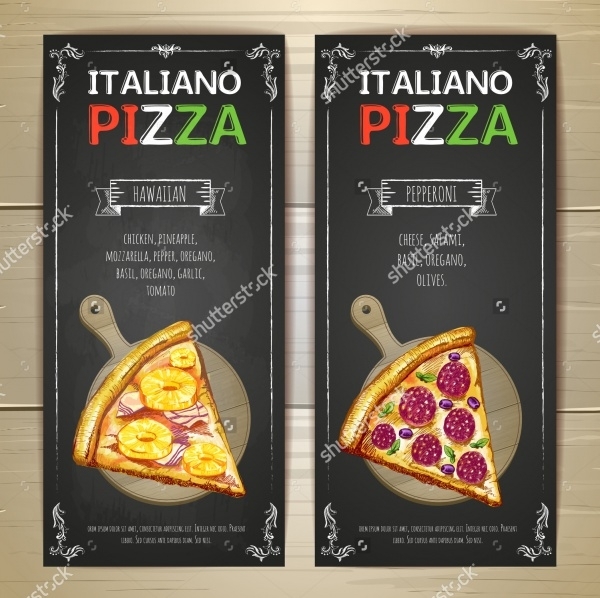 Choose this aptly designed pizza menu banner design to showcase how good and sumptuous your pizzas really are! This banner vector gives you a mega-pile of 18 awesome quality banner template PSD files. 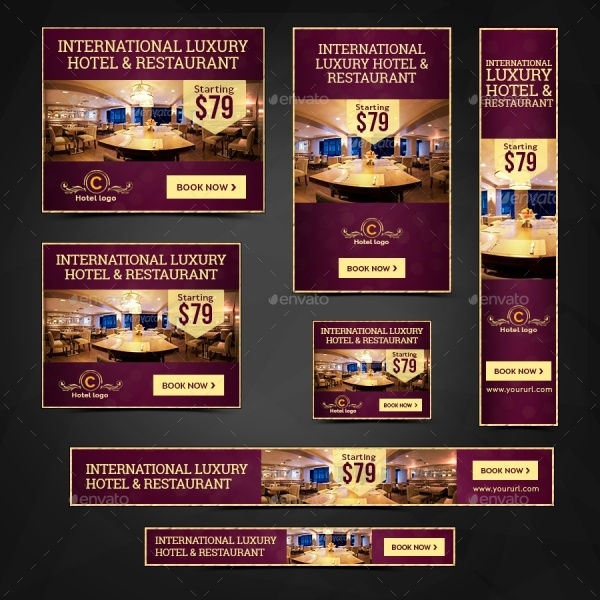 There are one or a couple banners for each purpose – Facebook ad sizes, ready for your Services, products, campaigns. Feel free to utilize these banners for Google adwords & Adroll too. 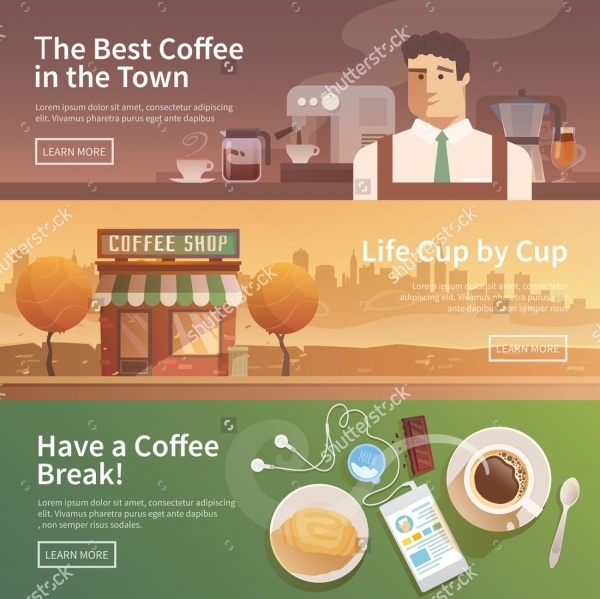 Brew up your coffee servings in a well-done manner by using this banner template to show what a good coffee shop or café yours is. This beautiful coffee shop/café banner vector features a flat design and customizable elements. Put your food discounts out there in the public in a stylish manner with this beautiful and classy banner design example. Wired with great lineup of customizable and editable features, this one’s an absolute winner and must-have! 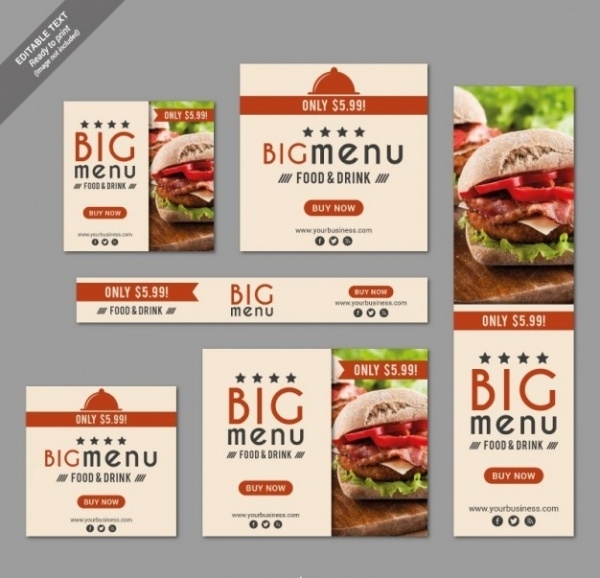 If your restaurant doles out innovative and delicious burgers, pizzas and more, you would like to advertise about the same using these aptly-designed hand-drawn banner templates. They are high-resolution and very customizable. 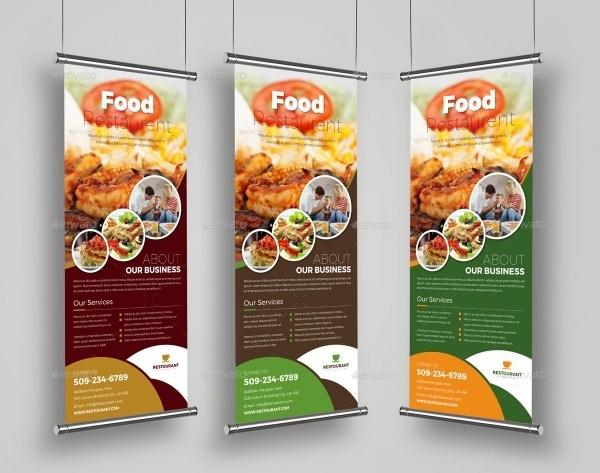 This banner example is created and developed especially for dessert and ice cream parlors. 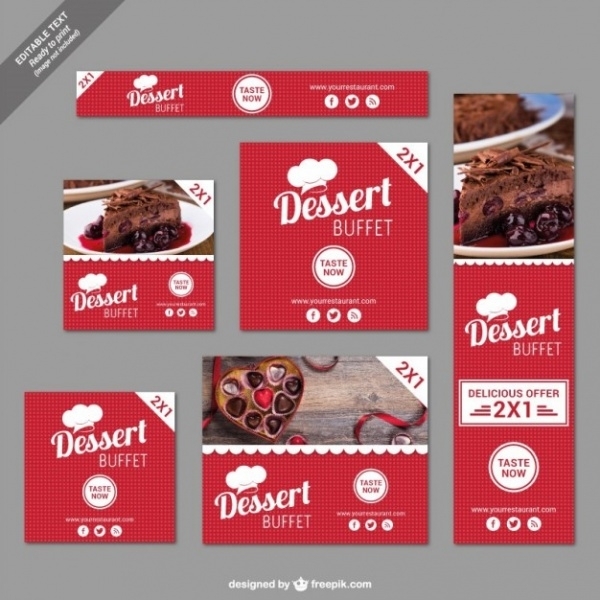 The design and layout scheme used in this template is synonymous with sweet foods. Of course you can edit and personalize this banner to make more brand-centric. This is a very sunning and editable restaurant flash banner which you can have go up on your restaurant’s official website. When visitors come to your website to check your menu, they will be greeted with this flash banner showcasing some of the best serves at your restaurant. Promoting a restaurant the right way is a daunting task. 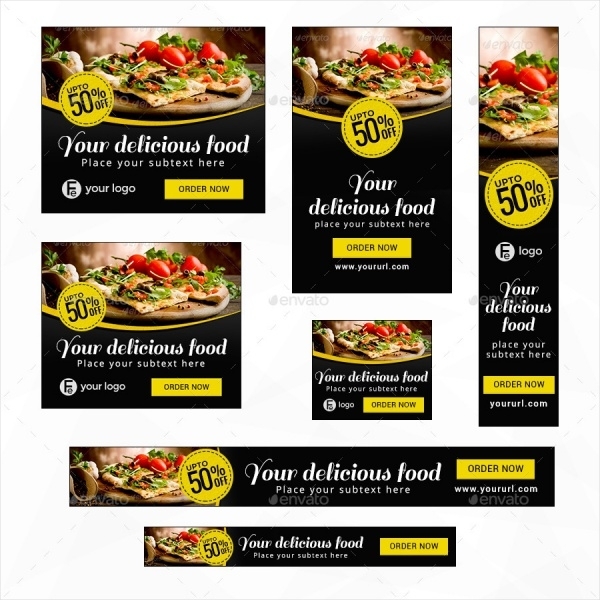 Whether or not you’re a designer, you can definitely count on our readymade restaurant banners to give you all the help to design a desirable banner for your outlet.